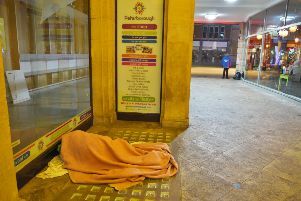 Usually in this column, I tell you what I have been doing and what I will do to help make Peterborough a better place to live and work for everyone, writes Paul Bristow, Conservative parliamentary candidate for Peterborough. I have continued to work hard by meeting and listening to people from across the city on how we can improve things. But now, the tables have been turned and I am asking people living in Peterborough to do something to help make our lives better. In an historic moment Peterborough residents now have the chance to remove our MP. You can make your voice heard by visiting one of 10 signing stations across the city and signing the petition. This petition is an important opportunity to demand better representation for our city. And if enough signatures are collected, Peterborough will get the chance to vote for a better MP to represent us on jobs, tackling crime and Brexit. For instance, 60 per cent of the city’s voters wanted to leave the European Union. And yet we have had an MP who knew this before she was elected in 2017, but who has repeatedly voted against measures to take us out of the EU – March 29th was the last occasion she did so. It means we could be facing a long delay to Brexit, or worse still, no Brexit at all. We need a better MP to deliver on our decision to leave the EU to make sure Brexit works for Peterborough families and secure the investment people in Peterborough need. But we also need a better MP who will work with the community and Peterborough City Council to get things done so we can secure the jobs, housing and investment in roads we need. And we need an MP who will make sure the views of Peterborough are heard and represented in Westminster. To work with the Conservative Government on health, education, housing, transport and other key components of our everyday lives. But it is down to the people of Peterborough to help make this happen, to help us get a better MP for a brighter future for us all. It is only local people who can make this change, not Parliament, not MPs, not councillors but everyone living in Peterborough. You can find your nearest signing station at www.abettermp.co.uk to ensure we get a vote for a local, better MP.